Nationwide Distribution. 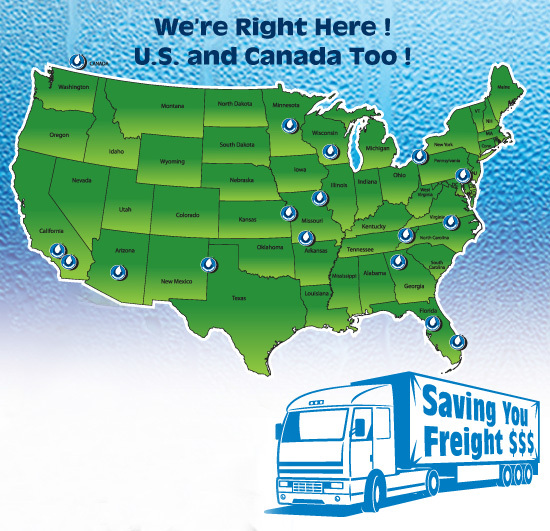 We Ship From KS, ID, TX, FL, GA, MD, PA, AZ, CA, & Alberta Canada. 5-7 days after you approve the artwork proof we send to you + shipping time in transit (1-3 days). Is the Artwork Setup Fee charged per color or per label? Per label not per color. $85 (v) for 1-3 color labels or $123 (v) for 4+ / full color labels. What is the best file format for artwork? Either call us or e-mail us or fill out our ‘contact us’ form.